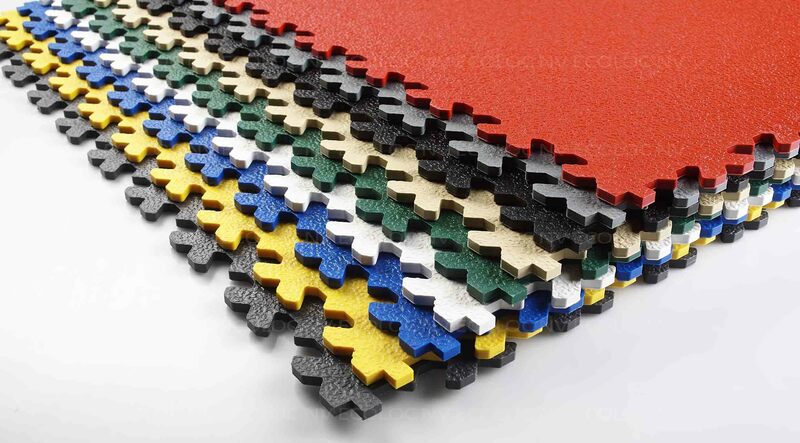 The 100% eco-friendly PVC floor tile! Made from 100% recycled materials, Ecoloc 'ECO' floor tile offers the same great quality and durable finish as our original premium Ecoloc tile, with the added benefit of helping to improve environmental sustainability! Designed for industrial, commercial and domestic flooring, Ecoloc 'ECO' utilises interlock technology to guarantee the tile's structural strength while providing an aesthetically pleasing flooring finish. Easily installed over your existing damaged, cracked and damp floor, Ecoloc 'ECO' is the perfect floor tile for anyone wishing to take that extra step to improve the environment. Ecoloc ECO guarantees the same great durable, visually attractive and comfortable underfoot flooring, whilst contributing to a sustainable environment. With little subfloor preparation required the tiles can be loosely laid, providing a quick and easy installation that is guaranteed to eliminate the visibility of existing flooring defects. Available in two colours: black and grey, Ecoloc 'ECO' is the perfect solution for your next green inspired flooring system.